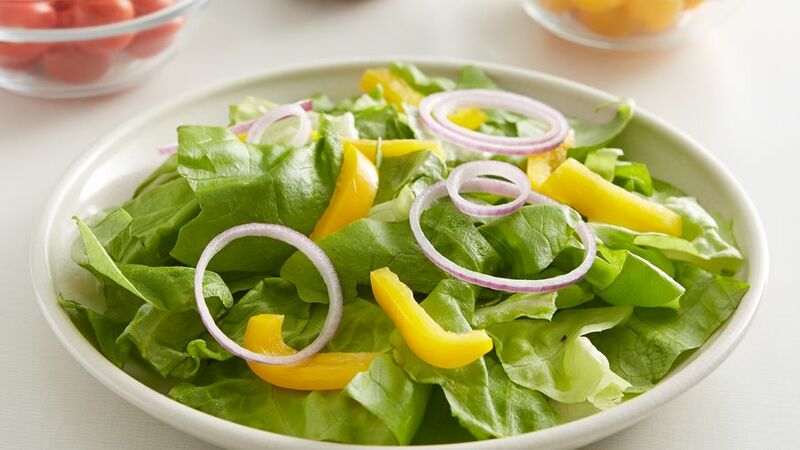 Prepare a bed of little gem lettuce on a salad plate. Add the olives, the yellow bell peppers, the red and yellow cherry tomatoes, the red onion, the oregano and the basil, and arrange them nicely. 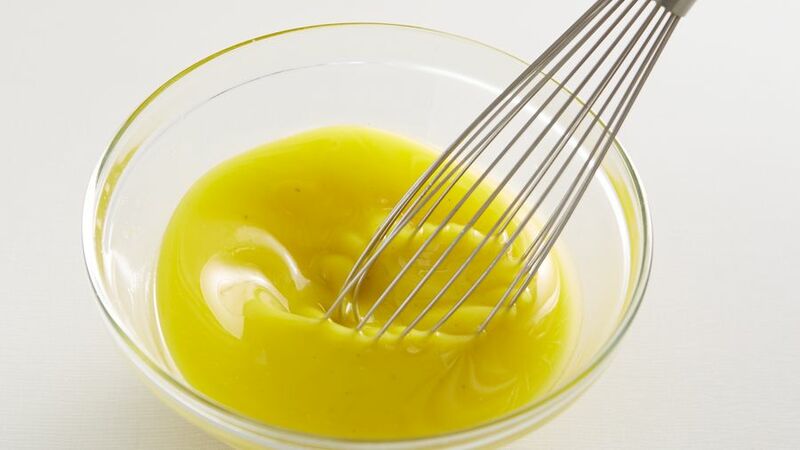 To prepare the dressing, add lemon juice, salt and pepper into a bowl. Stir well, add the olive oil, and emulsify the ingredients. Sprinkle the feta cheese on each salad plate, and add the dressing. I recommend using organic lettuce and vegetables, as well as good quality olive oil. If you cannot find Kalamata olives, you can use black or green olives. You can add bread croutons if you like. Salads are very tasty and an excellent entrée to whet the appetite. Greek salad is very fresh and easy to prepare. It is also one of my husband's favorite salads, which is why it is a must in the Father's Day menu of this year. 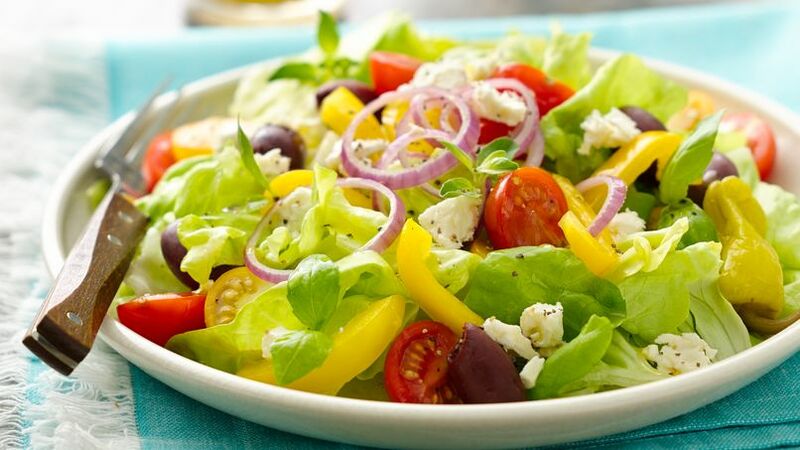 This type of salad is called Greek salad because it includes Mediterranean ingredients, such as olive oil dressing, Kalamata olives and feta cheese. It is clearly a delicious dish and a great entrée for a special lunch to celebrate Dad on his day. Let's cook!